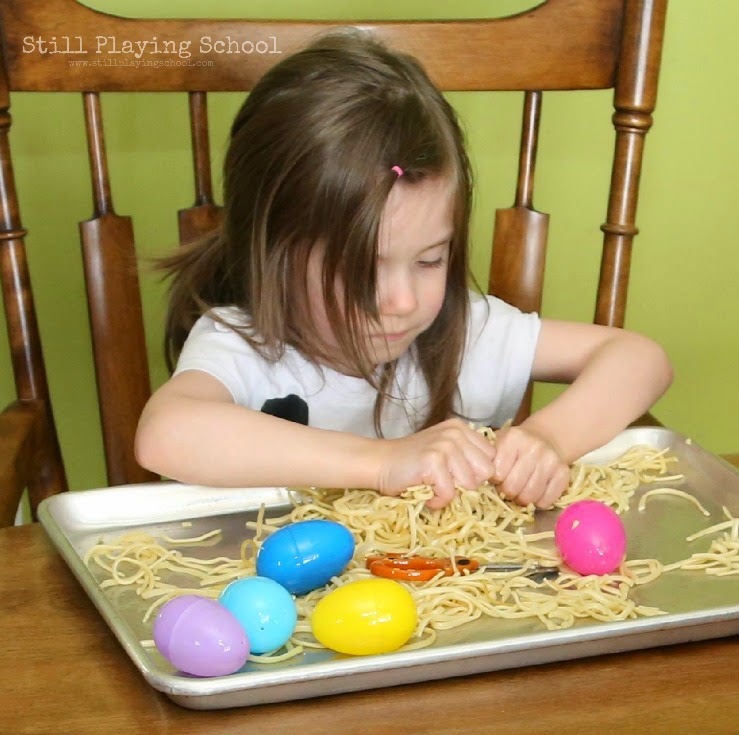 We're huge fans of using pasta for sensory play. We're also working on our preschool bird unit. 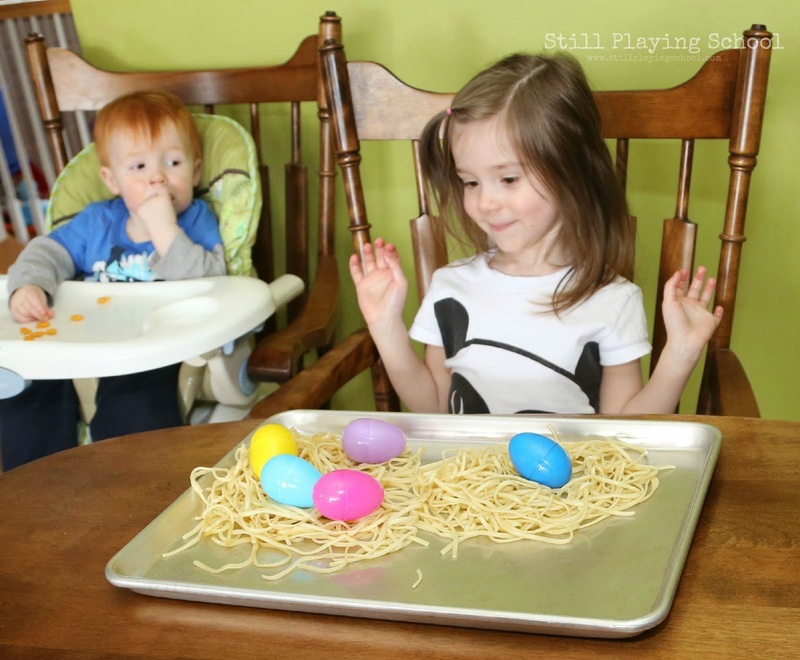 We combined to two and made nests out of cooked pasta! 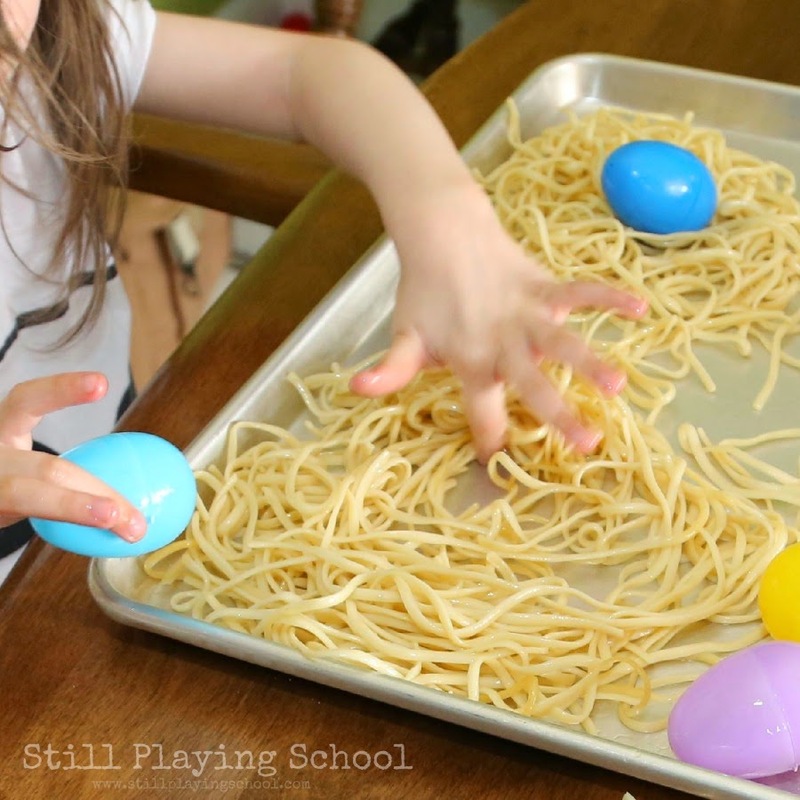 I presented my preschooler E with a tray of cooked linguine noodles which were slightly oiled and plastic eggs. We discussed the properties of the birds' nests that we've been studying. They are round and they have a place in the middle for the delicate eggs to rest gently so they are protected and warm. 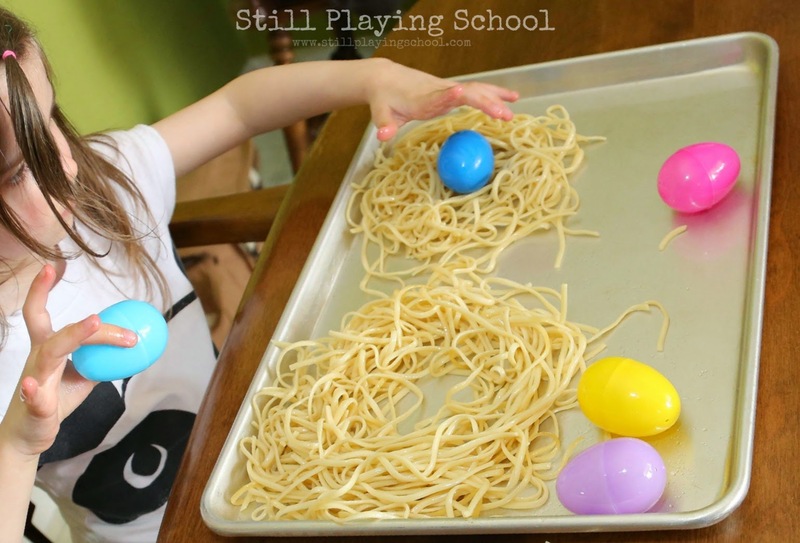 E used her fine motor skills to twirl the pasta into circles once I demonstrated. 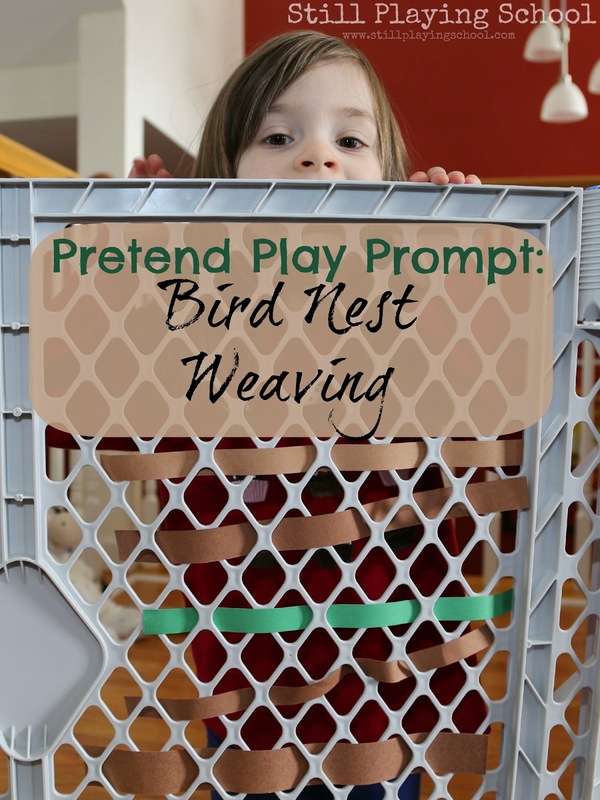 We listed the materials birds use to build their nests. 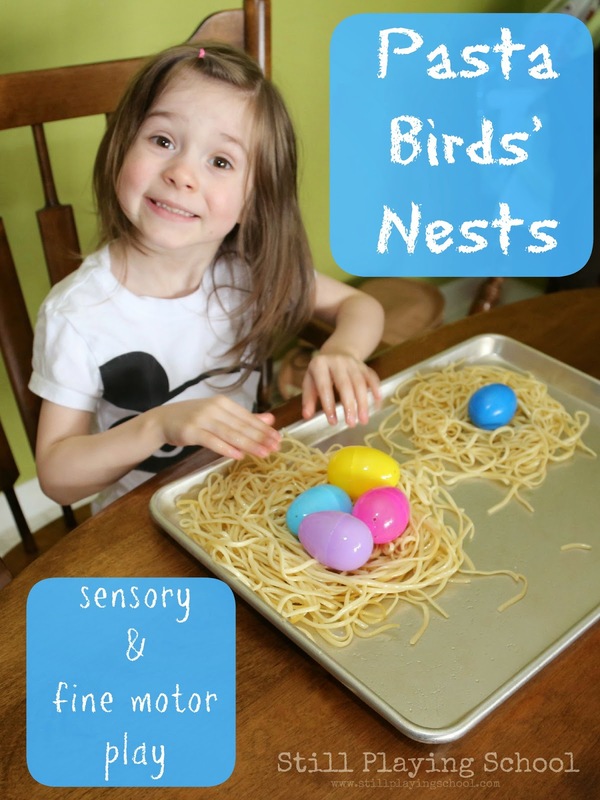 Since birds don't have hands to form their nests like E does I had her think critically when I asked what might body parts the birds might use instead. She was so proud of her pasta birds' nests! She counted and sorted the eggs telling me which types of birds would hatch from each. 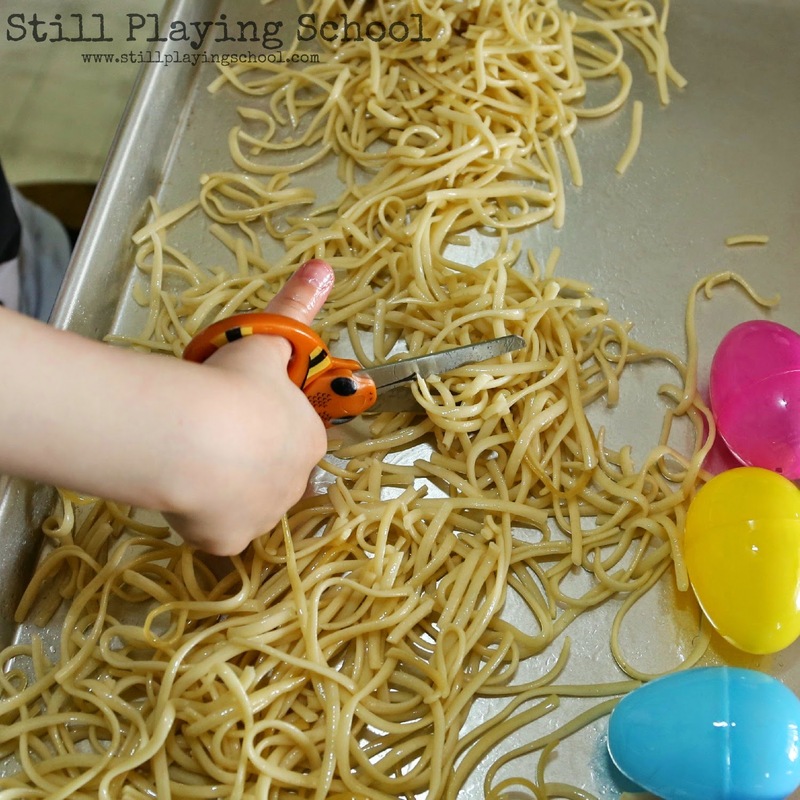 We did a bit more fine motor work when I gave E scissors to practice her cutting skills on the cooked pasta. 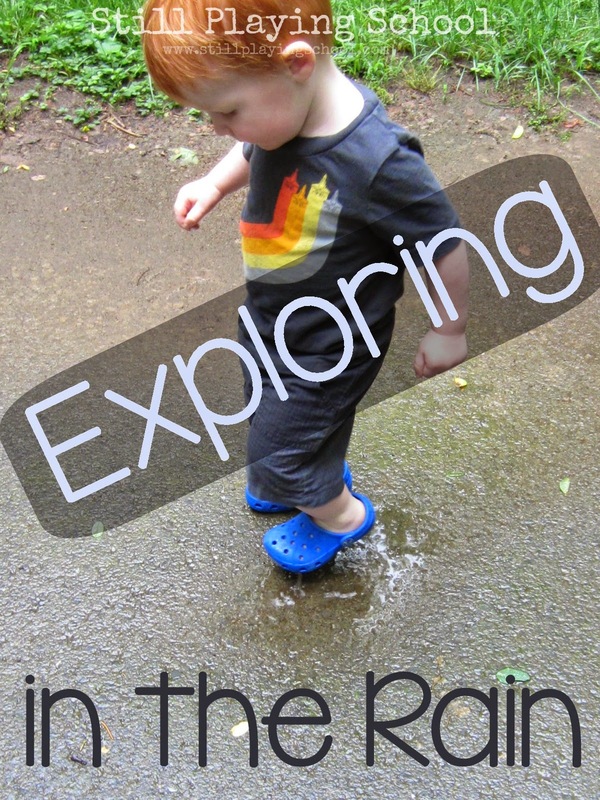 It was a sensory experience with science and fine motor work all rolled into one! 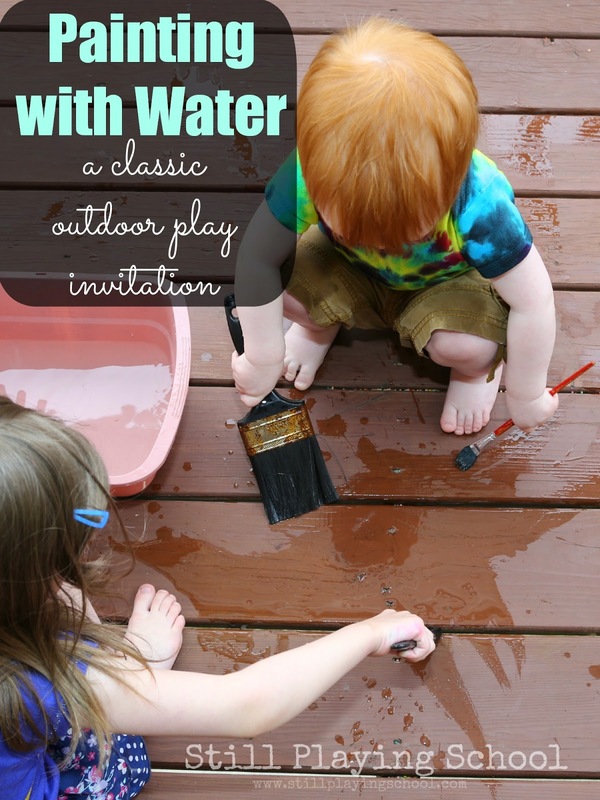 I absolutely love this activity!! I love all of the critical thinking and dialogue that went on between both of you. Definitely pinning for our bird theme!